Remember when I told you that there are numerous type of kimchi that exist in this world. 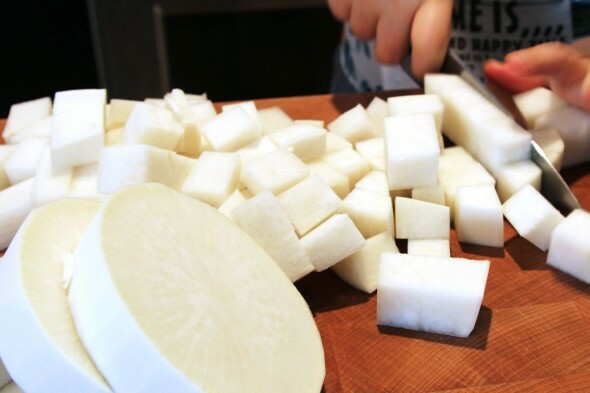 So today, I'm going to make a recipe involving Kkakdugi, or also known as Cubed Radish Kimchi. Kkakdugi is a type of kimchi made from diced radish. It’s a very common kind of kimchi and often used in Korean everyday meals alongside with baechu kimchi (napa cabbage kimchi). For the next article, I will be sharing another version of kkakdugi but without the ingredients of authentic korean ingredients. CREDIT TO; Maangchi for the picture and recipe.